Home >> Generated from JAN's SOAR Information System on 4/21/2019 12:47:15 AM. When you need assistance, Extend A Hand can be there for you. 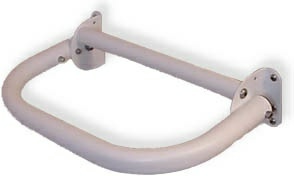 This newly patented grab-bar is an assistance device built in America to give the consumer added safety and independence. Extend A Hand mounts directly to the existing studs on 16", 24" and 32" centers. Having several mounting alternatives lets you choose the size that best fits your needs.